a) One who brings tears to the eyes. c) One who destroys misery. rOdayati iti rudrah - Sri Bhattar interprets this to mean that He brings tears of joy to the eyes of His devotees. SrI rAdhAkRshNa SAStri gives an example from SrImad bhAgavatam in support of this, but probably because of a typographical error in the book I could not find the particular Sloka in my copy of SrImad bhAgavatam. The gist of this reference is that one who is not shedding tears of joy on hearing of bhagavAn's guNas, singing His praise etc., must indeed have a heart made of stone. The reference given is MB 3.3.24. It could also mean that He brings tears to the eyes of the beings when He withdraws them during the pralaya. Sri Sankara points out that it could also mean one who confers (ra) the good (rud), or it could mean one who destroys (dru) misery and its cause (ru - duhkham) - rum drAvayati iti rudrah. One who is multi-headed.Om bahu-SirasE namah. In purusha sUktam of Rg veda we have the description of the cosmic form ofBhagavAn described as "sahasra SIrshA purushah sahasrAkshah sahasra pAt - Thepurusha of thousand heads, thousand eyes and thousand feet..... In gItA wefind the following description of the viSvarUpa of bhagavAn -sarvAScaryamayam devam anantam viSvatOmukham - the rUpa with uncountablefaces in all directions (11.11). Again in gItA (13.13), we have "sarvatahpANi pAdam tat sarvato'kshi SirO mukham - The Pure jivAtma savarUpa has handsand legs everywhere, has eyes, heads, and mouths everywhere.....". Sri Bhattar has interpreted the name as referring to the form of bhagavAn asananta, in which form He has many faces and over a thousand hoods. bibharti lOkAn iti babhruh - The one who supports the worlds. He as AdiSesha supports the earth. He is also the supporter of the Earth as Adi kUrma, Adi varAha, etc. a) The cause of this world. b) One who unites His devotees with Himself. yOni means cause. Since He is the cause of this world He is called viSvayOni. 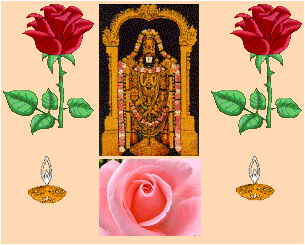 In nAma 89 - viSvarEtA - we saw that He is the seed from which the world originates. This nAma says that He is also the place where the seed develops into its full blossom. yOni means womb, and He is the seed, the womb, the sustainer after the birth of the world, the one who impartially observes as the kshetraj~na, etc. Note that we have refeered to the following from the gItA a few times before, and it applies here again - vAsudevah sarvam. The word yOni can also be derived from the world yu - to unite (yu miSraNE). Thus yOni can refer to bhagavAn's act of uniting His devotees with Him. Without His will, no one will be united with Him. He is viSvayOni because He unites His devotees with Himself. a) One who listens to words which are pure. b) One whose names are worthy of being heard. c) One who has beautiful and divine ears. "O dhanan~jaya! I listen here to all that is pure and agreeable to hear. I do not heed to what is sinful. Therefore I am known as Suci-SravAh". One whose names and glories are very holy and purifying to hear. c) The word Sravas also means ear. Sri chinmayAnandA thus interprets the name as meaning One who has divine ears - He is the Hearer of all ears. a) The devotees never get satiated by doing service to bhagavAn, and He is sweet to the devotees to an unlimited extent. ajarah amarah -(bRhadAraNya upanishad 4.4.25). Sri chinmayAnandA points out that He is amRtah because He can cure the disease of ignorance in His devotees. One who is Eternally Firm. The two parts of this name, SASvata and SthANu, occurred as separate names earlier (SASvata - which occurred as nAma 57, and sthAnu as nAma 28). sthANu also occurs as part of the current nAma and of nAma 427 - sthAvara-sthANuh later. Recall that sthANu was earlier interpreted as One who is firm in blessing His devotees, and SASvata was interpreted as One who is Eternal because of His unceasing act of creation, sustenance and destruction. SASvata-SthANu here is interpreted as one name in all the references I have, and there is no discussion on why it is treated thus. Sri Bhattar gives this name the meaning 'Eternal and Steady'. Unlike the nectar for which the devas and asuras churned the Ocean, He is Eternal because he cannot be taken away from those who enjoy Him. Sri Sankara gives the meaning "Eternally Firm". SrI rAdhAkRshNa Sastri gives the interpretation that He is SASvata because He has no beginning or end, and sthANu because He does not age or decay. a) One who is the most supreme object of attainment. b) One of Excellent Ascent. Varam means supreme, and Arohanam means ascent. Sri Bhattar's interpretation is that He is the Supreme object of attainment, since all other objects are inferior. Sri Sankara gives the meaning that He is of Excellent Ascent. Sri rAdhAkRshNa Sastri suggests that bhagavAn is varAroha because He is reclining on AdiSesha, the high paryanka. 1) kim ekam daivatam loke? 2) kim vApi ekam parAyaNam? The next set of nAmas are interpreted by Sri Bhattar as a) representing the vyuha (emanation) forms, and b) responding to YudhisThira's question - stuvantah kim - eulogising whom? The vyuha forms are four in number - vAsudeva, samkarshaNa, pradyumna, aniruddha. Of these, vAsudeva can be taken as having been included in the para form. The vyUha forms are in charge of the work of creation, sustenance, and destruction; they propound the Sastras, explain their significance, and give the fruits in accordance with the rules laid down therein; they also teach the method of meditation and workship of bhagavAn. The six qualities of the para rupa are distributed amongst the four vyUhas and each has its own form and duties. They are the means for the attainment of salvation. The samkarshaNa form is associated with knowledge and strength. Starting with the next nAma, the samkarshaNa form - the second in the vyuhas - is to be dealt with. One who is endowed with great knowledge. yasya ~jnAnamayam tapah - Whose tapas is the nature of knowledge. Mahat is pUjyam - worthy of respect. Here, knowledge is the ability to guide people so that they may be rid of the miseries of the world which they have been having from time immemorial.